Its that time of the year again when all roads lead to the Nire Valley for the annual walking festival. This walking festival is not just for those who posses fancy hiking boots and walking poles, as all classes of walkers are catered for at this festival, from the people who like a nice stroll to the more experienced hiker. The Comeragh mountains and the Nire Valley provide the perfect backdrop for an excellent weekend and Nell's Farmhouse provides the perfect base. 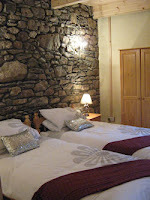 Nell's Farmhouse is only 15 minutes drive from Ballymacarbry. Our luxury self catering accommodation is the ideal place to book into for the weekend to make the most of your weekend in the country. Nell's Farmhouse sleeps 6 in total and comes complete with all the modern conveniences you would expect and more...after a day in the hills, would the perfect way to end your day not be with a dip in the outdoor hot tub? Then when your all refreshed you could tuck yourself under the duvet for a good night sleep so you will be totally re-energised for day 2 of the festival. Visit our website http://www.nellsfarmhouse.ie/ for more details on our luxury self catering accommodation and http://www.nirevalley.com/ for more details on the walking program. 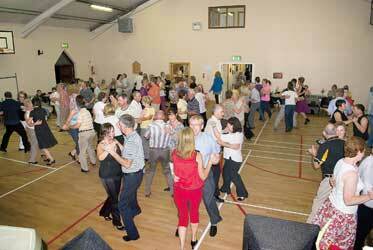 The sixth annual Dance 'neath the Comeraghs festival takes place in Rathgormack Village from 10th -12th of September. If your into a bit of trad or a bit of set dancing or a bit of both Rathgormack is the place to be next weekend. There is a great line up of music and workshops kicking off on Friday night and continuing through to Sunday. Nell's Farmhouse is only 1 mile from Rathgormack village and an ideal base for a toe tapping weekend at the set dancing festival. So pull the tap shoes out of the wardrobe, give them a dust off and then pick up the phone and give Mary a call on 086-2206007 to book your luxury self catering accommodation for the weekend. You could relax in the comfort that your bed is only down the road ready for you to hop into, and if you felt like it you could steep your tapped out toes in the hot tub to help them recover. Sounds good doesn't it? Waterford Harvest Festival takes place in Waterford City from September 10th -19th. It guarantees 10 mouth watering days of festival fun and food. Nell's Farmhouse is an ideal base for anybody who is looking an escape from it all while being close enough to the action in Waterford City. The city is just a short 30 minute drive from Nell's Farmhouse. Wouldn't it be nice after a day of soaking up the festival atmosphere to return to the luxury of Nell's Farmhouse and sit in the hot tub outside under the stars and let all your troubles float away in the 40 degree bubbles?? Waterford Harvest Festival takes place from September 10th -19th in various locations around Waterford city. Its going to be lots of fun with something for everybody, young and old, from a picnic in the Peoples Park to one of the largest outdoor food markets in the country on the South Quay, cookery demonstrations and a huge ceile. There will be tasting sessions and slow food workshops as well as food trails and advise about feeding a family on a budget. Mary is going to be there on Saturday 18th and Sunday 19th with the Macra Na Feirme crew. She will be doing a traditional butter making demonstration on both days. If you fancy learning how butter was made in the traditional fashion do come along to the Macra area on either day. Or drop by to say hello and pick up a brochure on our luxury self catering accommodation or information about our heritage farm visits. 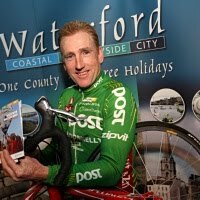 The 4th ever Sean Kelly Tour of Waterford takes place on Sunday 29th of August. In 2009, 2800 cyclists descended on Waterford to take part in the Sean Kelly challenge and pay tribute to the legend of cycling that is Sean Kelly. 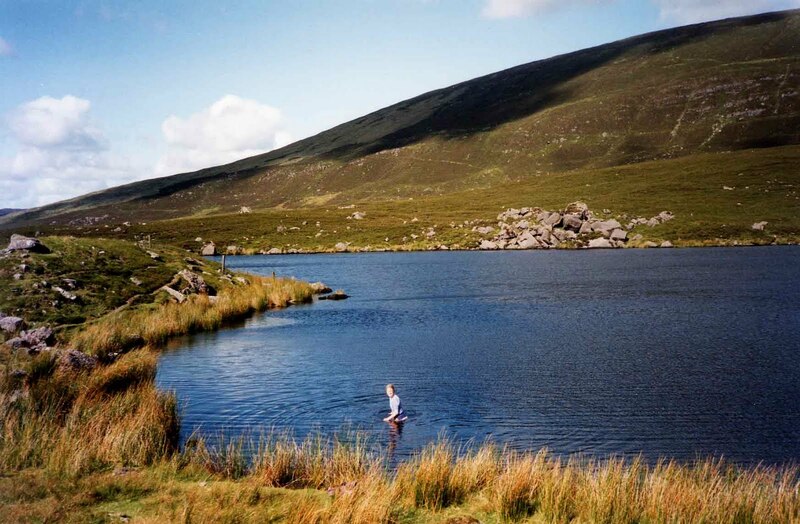 There are 3 different routes of varying difficulty around the beautiful scenery of Waterford and the Comeragh mountains. Nell's Farmhouse is a hive of activity at the moment as preparations take place for this years Heritage Week which kicks off this Saturday 21st of August at 3pm. The event will take place in a traditional farmhouse kitchen and depicts a life before electricity. Mary has her traditional pot oven polished up and ready to make some tasty home made bread. This wont be an old bread as it will be cooked over the traditional open fire. While the bread is baking Mary will also demonstrate how butter is made with her special butter churn. This guarantees to be a great fun day out for all the family. So if your in the Waterford area this Saturday 21st or Saturday 28th, come along at 3pm to meet Mary and Ger Flynn and take a step back in time. Sieve flour, bread soda and salt into a bowl. Make a well in the centre and add the butter milk. Form into a ball and knead lightly. Turn out onto a floured surface and shape into a round. With a knife cut a cross onto the bread (to let the fairies out). Place into the preheated pot oven. Cover and hang over the fire. Place sods of turf (griosach) onto the lid of the pot. The bread will take approximately 45 minutes to cook depending on the fire. Don’t have too big a fire or the bottom of the bread will be burned before the top is cooked. 1.Add 2 ozs of sultanas before adding the milk. 2.Replace half the flour with wholemeal flour for brown bread. The boys and girls of Portlaw National School visited Nells Farmhouse. The had the difficult job of christening the cow that they saw being handmilked. They called her Buttercup and she takes over from Daisy who has retired.